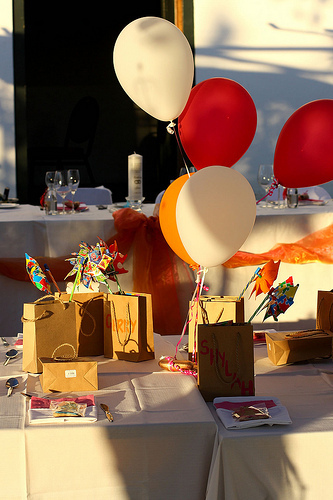 Wedding balloon decorations are a very inexpensive way of bringing color and fun to your wedding. There are those who frown on the idea of balloons but tastefully and artfully done balloon decorations would bode well for couples who are on a tight budget. 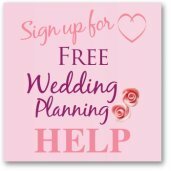 If you are open to the idea of balloons for your wedding decor you need to ask the wedding venue's administrator if balloons are allowed!?! Sad, but true in some venues! There seems to be a lot of choices when it comes to balloon decorations. In truth there are only three basic types of balloon decorations: balloon bouquet; balloon arch and balloon column. 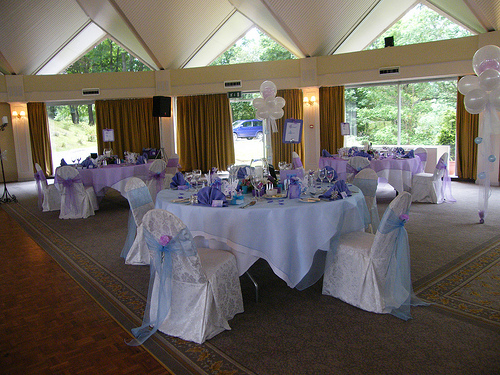 The myriad of other wedding balloon decorations that you see are just variants. It is best to use balloon decorations for the reception and not in the church. However if you are keen on a garden or gazebo wedding, then balloons are fine. 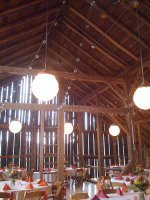 An easy way to decorate the reception area with balloons is by doing a balloon bouquet centerpiece for each table or alternatively you could have the bouquets around the room. Take 3 to 7 balloons based on your color motif. If your wedding motif is pink, you can opt to bunch together pearl balloons of white, ivory and pink. Fill the balloons with helium. 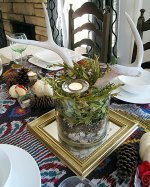 Tie them together making sure they are of different heights and that they won't get in the line of sight of seated guests. Attach matching curling ribbons then tie the balloon bouquet on a weighted basket. A helium-filled balloon will stay up for 12 -24 hours. Balloon arches are great for entry ways. If this is the case then it is best if you can actually walk through the balloon arch. You can also opt to use a balloonarch as backdrop for the cake table or for the newly wed's table. There are two ways to do a balloon arch. The first is with use of helium-filled balloons and the second one is with the use of air-filled balloons. In a way, air-filled balloons will last longer than helium-filled balloons. The downside is you have to make a strong support structure for an air-filled balloonarch and a base to anchor the arch. You can purchase a plastic arch then use this as the support. Once you have the arch, you can fill it with balloons in groups of five. If you will use two colors, make sure you tie them to the support in such a way that they seem to spiral. A helium arch is easier to do. Cut a piece of string to the desired height and length of the balloon arch. Secure each end. Tie the helium-filled balloons on the string starting at the middle. The helium balloons will naturally form an arch once the string is filled with balloons. Packs of 100 White Balloons would be enough to cover all of the tables and maybe even a balloon arch if you had only 3 at each table. 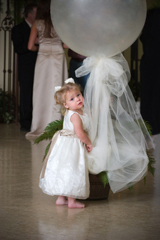 A balloon column is also a feasible wedding balloon decoration. You will have to make use of a pole set on a base for you to attach the air-filled balloons. Attach the balloons in groups of 3 or 5 making use of bigger balloons at the base and at the top most part. You can use different colored balloons that complement your wedding motif. Wedding balloon decorations need not be gaudy and tacky. 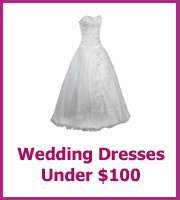 They could be wonderful and inexpensive options for your very special day. If you think that balloons may be a bit old fashioned then you could look at having round balloons instead of the normal shape. I know that it seems silly that the shape will have such a big effect but it does. You could also look at the colors too, you could go bright and bold or more subtle with white balloons. To keep the whole design more modern I would be less coordinated! Don't have everything matching and instead have fun with your decorations. Also look at mixing balloons with tulle and also maybe fairy lights if you are looking for evening decorations. If you want a modern look avoid printed balloons at the moment, they normally cost more and they won't make your reception look any better, they look more old fashioned than modern!